As a result of mining, forestry, waste disposal and fuel combustion, our environment is becoming increasingly contaminated with heavy metals. 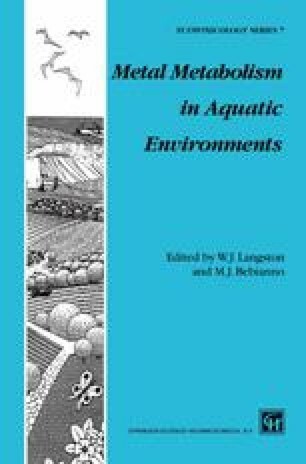 The aquatic environment receives waste products from such activities and may be the final depository for these anthropogenically remobilized heavy metals. In order to understand the impact of heavy metals on aquatic biota it is important to characterize the mechanisms available for aquatic life to transport, immobilize and excrete heavy metals.